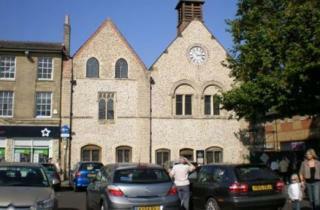 Moyse’s Hall Museum in Bury St Edmunds, a landmark 12th Century building which has serviced the town in many guises, including a workhouse and a police station, is celebrating its 120th anniversary as a museum this year. All year round Moyse’s Hall offers fascinating insights into the past and in 2019, alongside a packed programme of exhibitions from book illustrations to vintage toys, they are thrilled to announce the addition of historical character trails from Terry Deary, the best-selling author of the ‘Horrible Histories’ series. As ‘Family Friendly Museum of the Year’ and with a history of nationally acclaimed exhibitions it seems a fitting choice for Terry Deary’s re-interpretations of Suffolk history. Deary has developed six character trails of ‘Terrible Tales’ which will follow local historical people, events and stories including Mary Tudor and the Red Barn Murder. Terry Deary, a professional actor, singer and writer, is perhaps best known for his 300 children’s fiction and non-fiction books which have sold over 30 million copies in over 40 languages. His ‘Horrible Histories’ series, first published 24 years ago, and adapted into a hit BBC television series and stage shows, continues to delight and disgust children and adults alike. Deary’s wonderful writing and characters will be brought to life visually through the stunning artwork of Suffolk illustrator Glen Pickering. Terry Deary’s character trails will open in the summer with a special launch at Moyse’s Hall. Alongside this exciting new addition, Moyse’s Hall will be running its hugely popular specialist exhibitions series including ‘Wonderland’ (8 June – 1 September) which will feature Tenniel’s original artwork from the first ever edition of ‘Alice in Wonderland’ plus a selection of other first edition children’s books, illustrations and memorabilia. This will be followed by the annual Sci-Fi exhibition, which this year will be welcoming the nationally recognised ‘May The Toys Be With You’ (21 September – 24 December), one of the UK's finest collections of vintage Star Wars toys and original cinema posters. As if that wasn’t enough to keep all kids, little and big, happy, ‘Dragon Fest’ will be returning, this year, to partner venue, West Stow. In response to public demand, it will be bigger and better than ever with more dragons, more free activities and even better value for money. Day tickets to events at Moyse’s Hall and West Stow are £5 for adults, £3 for children and £15 for a family ticket but if you want to experience the brilliant offers all year round you can purchase a Heritage Ticket for just £12 for adults, £6 for children and £40 for a family.